The NTIA will launch what it calls a “multistakeholder process” focused on drone privacy standards in the coming months, the agency said. 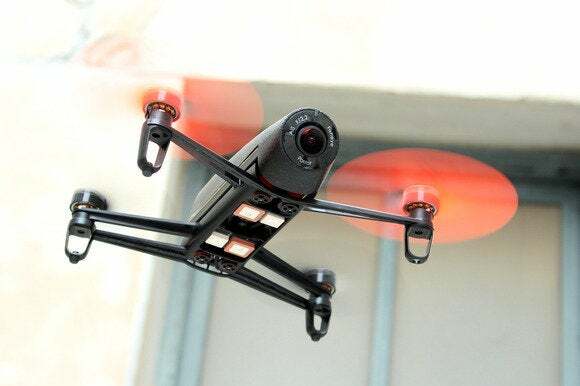 The NTIA on Wednesday opened up a request for comments on discussions aimed at developing privacy best practices for both the commercial and private use of drones, sometimes called unmanned aircraft systems. The NTIA-led discussions aim to address privacy concerns while ensuring the U.S. “maintains its leadership and promotes innovation in this growing industry,” NTIA administrator Lawrence Strickling said in a statement. In a February memorandum, President Barack Obama called on the NTIA to launch the discussion on drone privacy standards. As drones move into the air space, the U.S. government will “take steps to ensure that the integration takes into account not only our economic competitiveness and public safety, but also the privacy, civil rights, and civil liberties concerns these systems may raise,” the White House said in the memo. — Do commercial drone services raise unique or heightened privacy issues? — What privacy practices would lessen privacy concerns while supporting innovation? — What information should commercial drone operators make public? Since 2012, the NTIA has hosted privacy discussions related to mobile apps and facial recognition technology. Some privacy groups have criticized those efforts, saying the discussions are dominated by industry representatives. Separate from the NTIA discussions, the Federal Aviation Administration has begun issuing drone licenses, and the agency, in February, issued proposed rules for commercial drone flight.